As we’ve already discussed, Environmental Portraits grant both subject and background a high level of importance in the frame. Portraiture alone can be seen as the picture of the fish, and Environmental Portraiture as the fish within the fishbowl. That said, we want to introduce you to eight photographers who will give you a better idea of what Environmental Portraits are. Some of them are exclusively Environmental Portrait photographers; others, not so much. Still, when required, these last ones have sometimes taken portraits with an environmental approach. Paul Strand was a highly influential photographer, and was also an early icon of the renowned “Straight Photography” movement in which Ansel Adams was also involved. As you can see here, Strand had great commitment to various photography genres, including portraiture. By viewing his portraits, we can get an early grasp of how he approached people in their most pristine environments. Studying early photographers is important, because they lay the groundwork for what we now know as photography. This is my favorite image by Strand because it depicts a whole family in a way that is obviously not natural, but feels like it was. Every time the phrase “Environmental Portrait” is mentioned, Arnold Newman is the photographer many people think of. He was known for exerting a big influence on the Environmental Portraiture movement, even when he composed abstract still-life work. He portrayed public figures like no one else. We'll dedicate an exclusive post focusing entirely on Newman's work in a couple of days, but for now you can see a bit of his massive body of work here. Daniel Mordzinski is an Argentinian photographer currently based in Paris, France. If Arnold Newman focused on artists and politicians, Mordzinski went the extra mile and focused entirely on writers. He has gained the title of being the “Photographer of the Writers”. And when somebody with resources needs a portrait of a writer, Mordzinski is the guy they call. 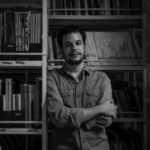 He has been working for more than three decades on a very ambitious “Human Atlas” of the world of Latin American literature. I had the great pleasure of attending an exhibition of his work, and seeing all those writers was fascinating. It was like walking inside a party where many of my favorite writers were invited to be with me (because the museum was pretty empty, too). You can see some of his work here; there you'll find poets, novelists, essayists and dramatists. My whole perception of Annie Leibovitz is built on a specific body of work (and a couple of images I have seen on the Internet), beyond her largely popular and complex conceptual work. In this book, you can find candid shots of family and friends, and a lot of portraits with a great environmental feel. From actors to politicians, they all reside in spaces that seem extremely natural. She opens the book by saying “I don’t have two lives, this is one life, and the personal pictures and the assignment work are all part of it.” Some of the figures seen here are Johnny Cash, Nicole Kidman, Mikhail Baryshnikov, Keith Richards, Michael Jordan, Joan Didion, Patti Smith, Nelson Mandela, Jack Nicholson, William Burroughs and even R2-D2. 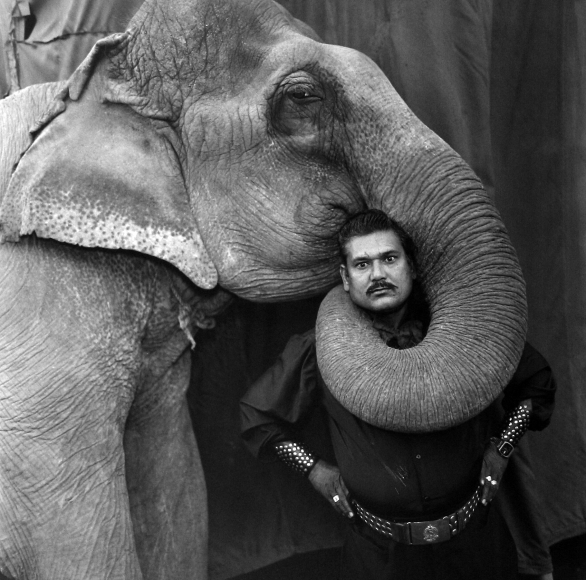 Mary Ellen Mark was a splendid documentary photographer, and her work goes beyond the portraiture genre. 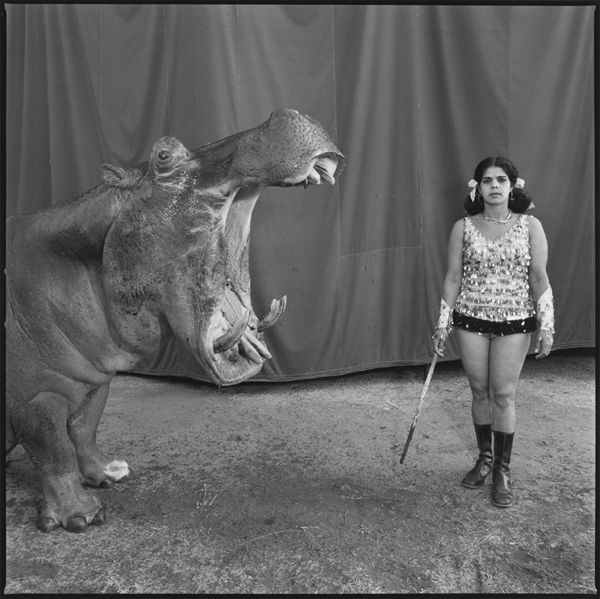 But some images – like the ones she captured of circuses (like this one and this other) – give us good examples of what capturing the fish within the fishbowl should look like. Just recently I heard this interview with Mark with Ibarionex Perello, which will be useful for any serious photographer to hear. Jimmy Nelson is a charismatic British photojournalist largely known for his portraits of tribal and indigenous peoples. His environmental portraits don't focus on public figures and famous people, but on tribes that are about to disappear. I like to define his images as Ethnographic Portraits, as they all show an obviously pure environmental quality. Therefore, his work will be extremely useful to anyone interested in environmental portraits. Nelson's work is unique; here you are a couple of truly inspiring TED Talks about his work. You can also indulge yourself with his images on his website. Sara Facio is the woman responsible for giving a recognizable face to many writers from the Latin American literary boom. She portrayed them in a very different way, without poses, candidly, inside their own spaces. It is said that Facio has a distinctive pace, and after a while, she becomes completely invisible. Check out some of her photographs of writers here for exquisite examples of her candid environmentals. Many photographers have been taking liberties and experimenting with Environmental Portraiture conventions. For me, the most critical thing is that the shoot is done with a real person in their real environment. Many contemporary photographers have used this as inspiration for their conceptual and staged portraits, but that's a topic for another day. We hope you have enjoyed this brief selection, and if you know of other photographers who could fit in the description we've been developing for Environmental Portraiture, please share them with us in the comments section.